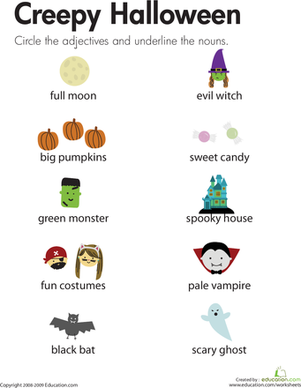 Sink your teeth into this fun reading and writing activity, and learn all about vampires! Your child will read some history behind these Halloween villains, and then he'll answer a few reading comprehension questions. We've brewed up a powerful potion this Halloween to help hone reading and writing skills! Learn all about witches with a fun info sheet.